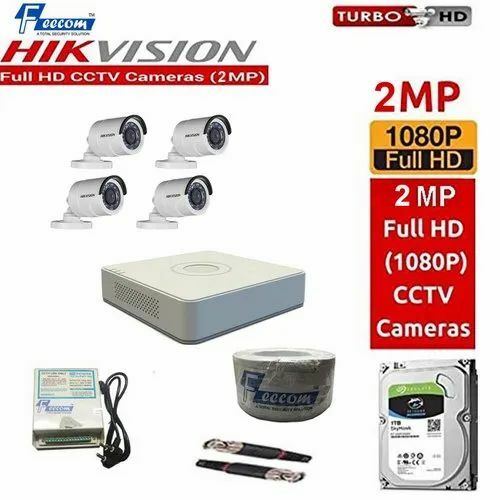 FEECOM Hikvision 2-MP Full HD DVR 4-CH Combo with 4-PC Bullet Camera 2-MP with 1-TB SURVELLANCE HDD & All Accessories KIT. Established in the year 1996, Feedline Communications is ranked amongst the trustworthy wholesale traders of an optimum quality assortment of Biometric Machine, Hard Drive, CCTV Cameras, Digital Video Recorder and much more. Obtained from the certified vendors of the industry, the provided products are meticulously examined against diverse parameters of quality to ensure their faultlessness.